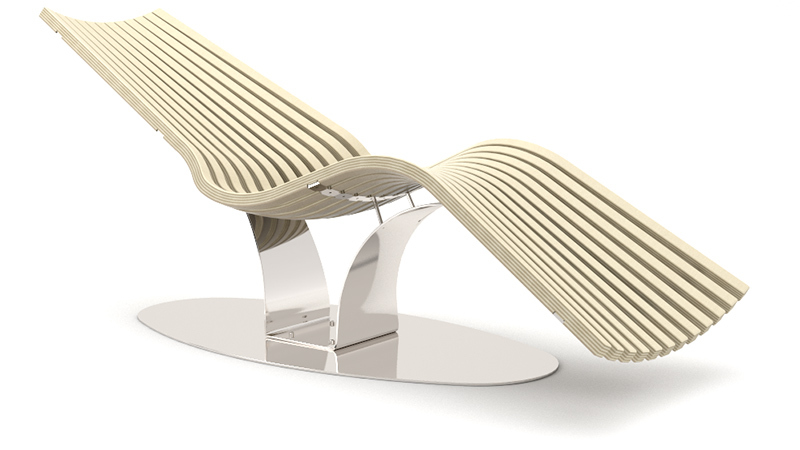 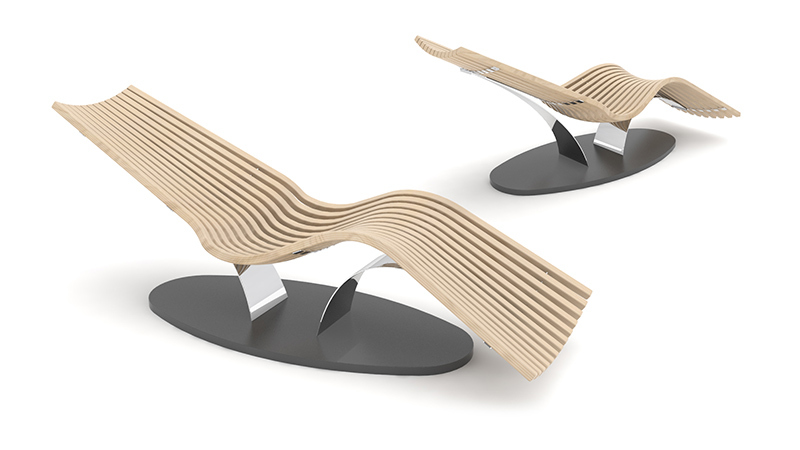 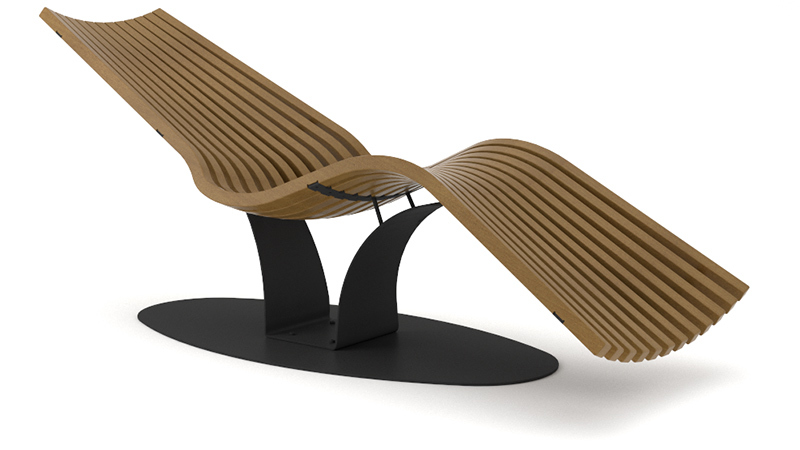 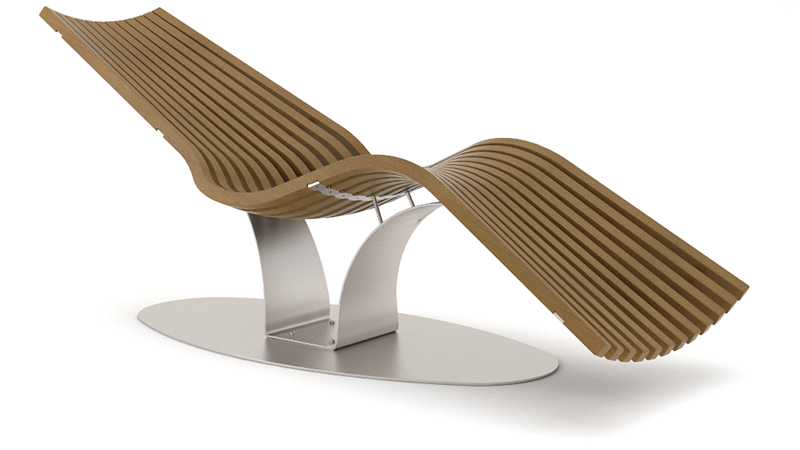 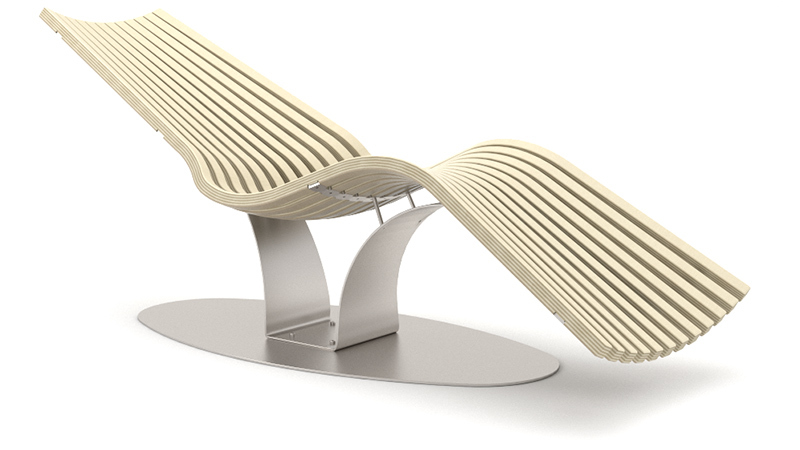 The stonelike base of Wave Balance Steel -relaxation lounger gives the chair a modern nuance. 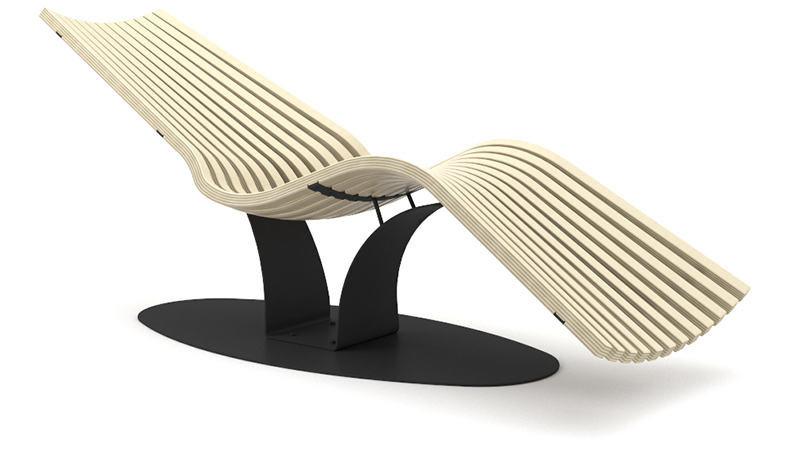 The innovative relaxation lounger is made of weatherproof and water-repellent wood-plastic-composite (WPC). It is well suitable for moist rooms like spas or hotel pool areas. 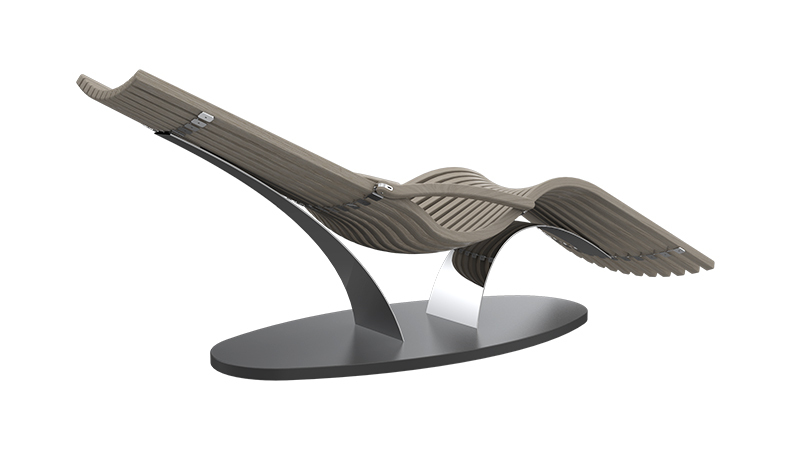 The relaxation lounger Wave Balance Steel Composite is available either with a baseplate made of wood-plastic-composite (WPC) or composite stone.